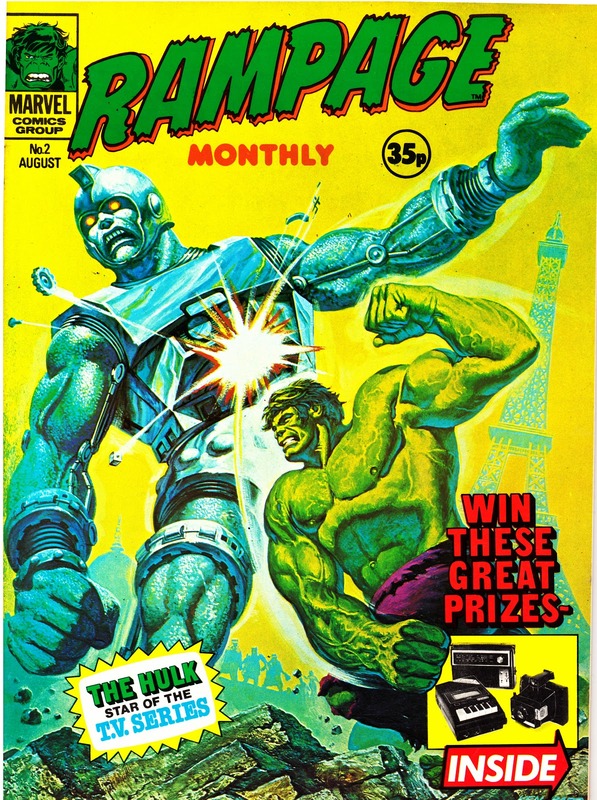 RAMPAGE MONTHLY/ MAGAZINE was the 1978 successor to RAMPAGE WEEKLY, a dull concoction of The Defenders and Nova which failed to set the world alight. The monthly incarnation, launched in the summer of '78, initially retained both strips as supporting features but added reprints from the US magazine THE RAMPAGING HULK as the main feature. 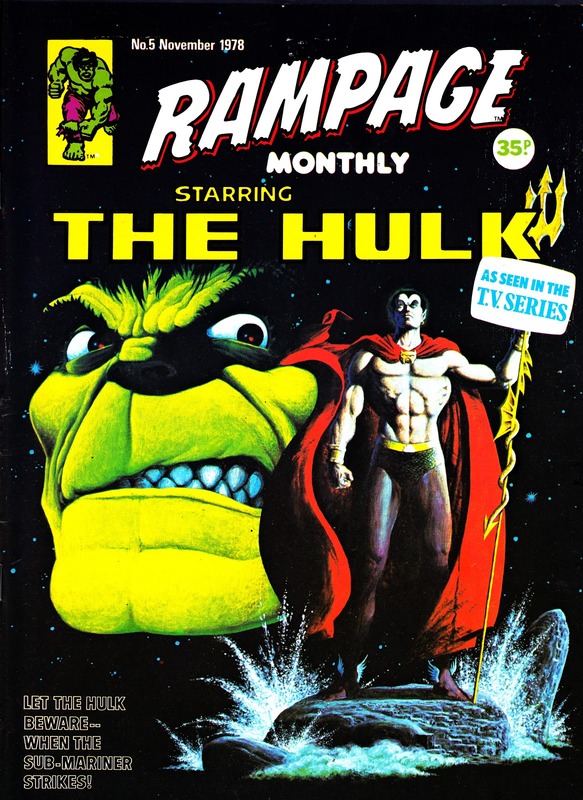 These strips were always something of an oddity: presumably created to capitalise on the Hulk's high media profile, thanks to the TV show, yet they made no effort to mimic the elements that made the TV show a success. 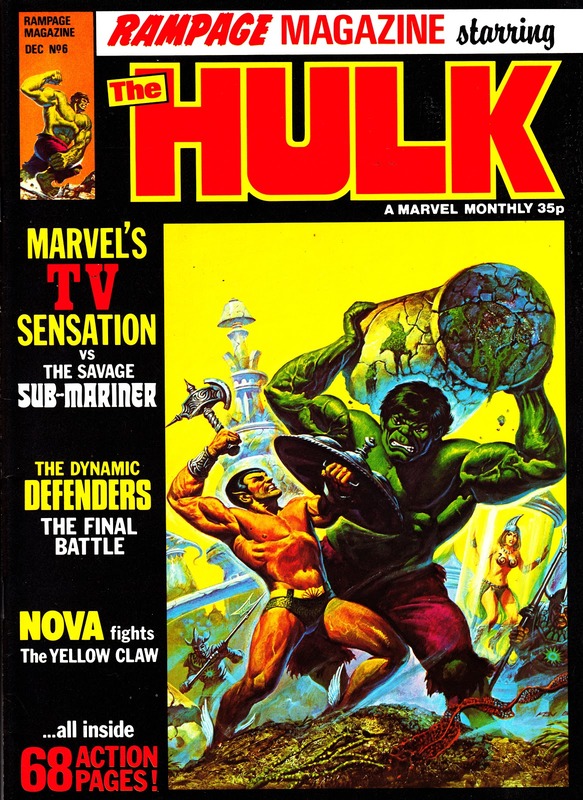 Any casual viewer that stumbled across the magazine would surely be confused... and probably alienated. 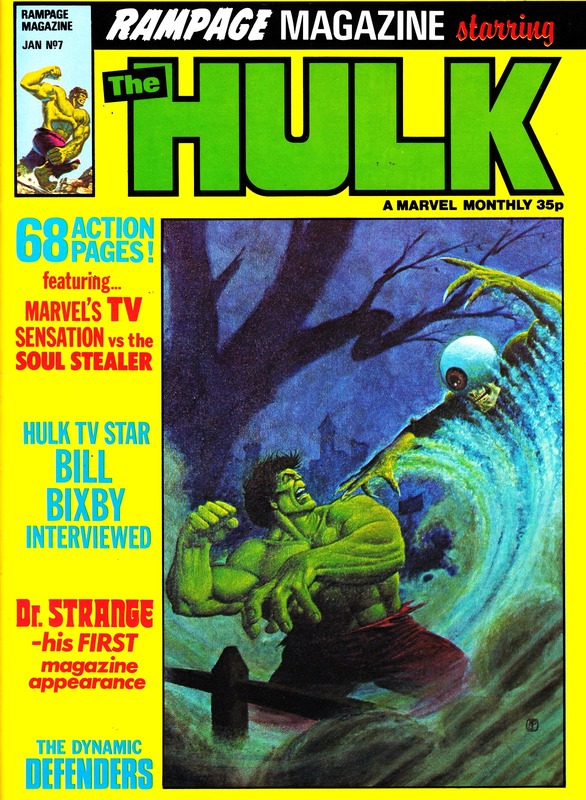 Marvel management, on both sides of the Atlantic, finally recognised the problem and rebooted the US mag as a colour monthly telling stories more akin to the show whilst Dez Skinn did the same with the original Hulk strips in the 1979-launched HULK COMIC. 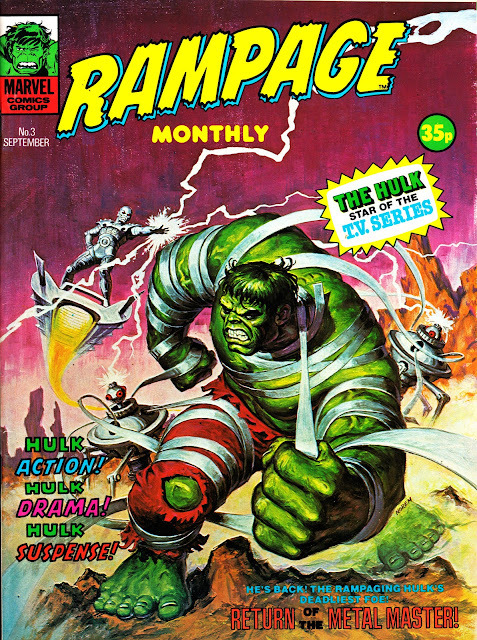 Rampage Monthly was one of the last Marvel UK titles launched under the direct auspices of the US Bullpen. 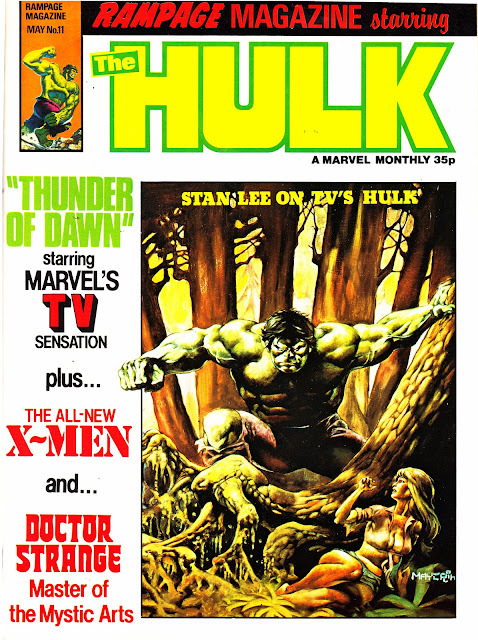 Stan Lee drafted-in Skinn later in '78 to overhaul the British line and reverse years of decline and swiftly-cancelled new launches. 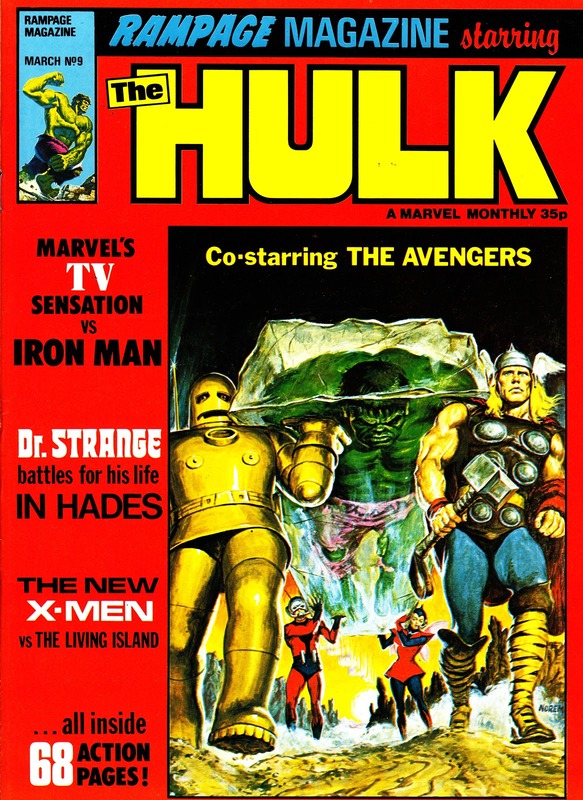 The Marvel Revolution of early 1979 started to come into effect from the December-dated issue. 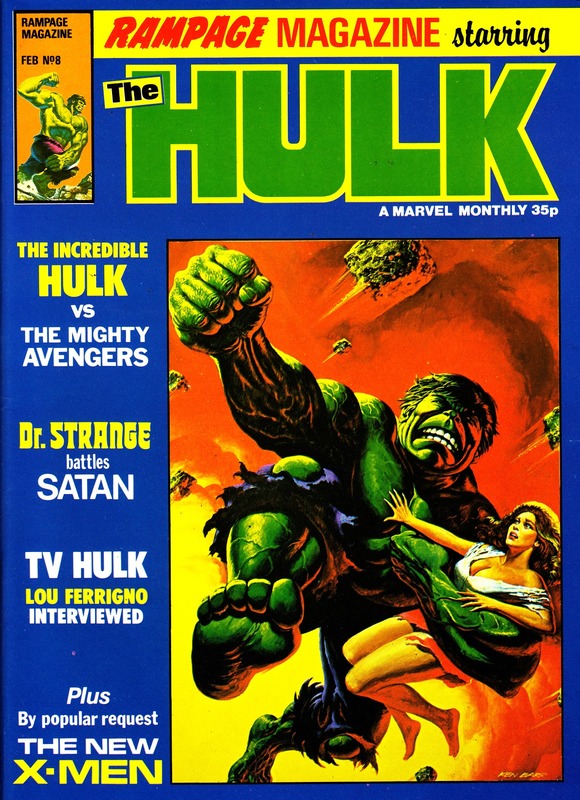 The cover design was overhauled (a design that Skinn made standard across the UK monthlies) and - from the turn-of-the-year Doctor Strange (also appearing in the just-shot Universal TV pilot movie) replaced Nova. 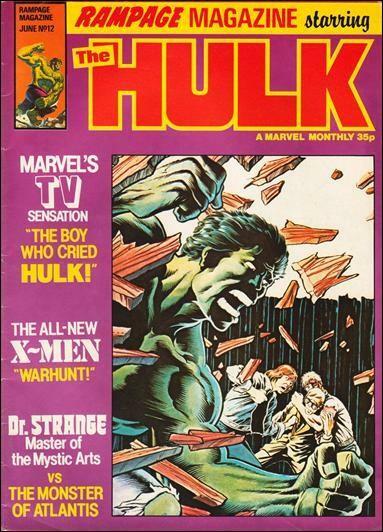 Two issues later, The New X-Men made their official Marvel UK premiere (replacing The Defenders). 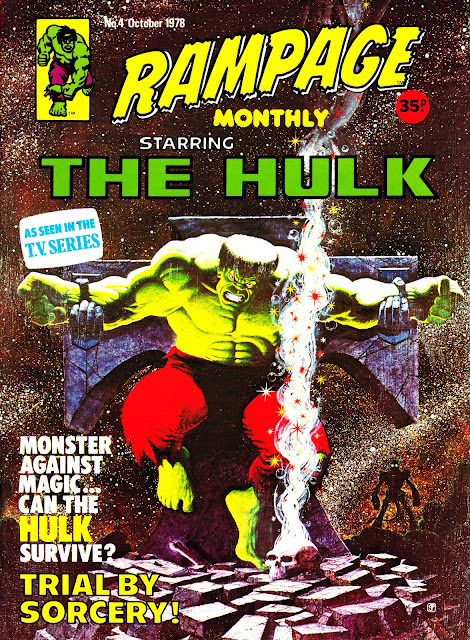 A by-product of this decision was that Skinn blocked imports of the US monthly as part of the package of Marvel Comics sent to newsagents. 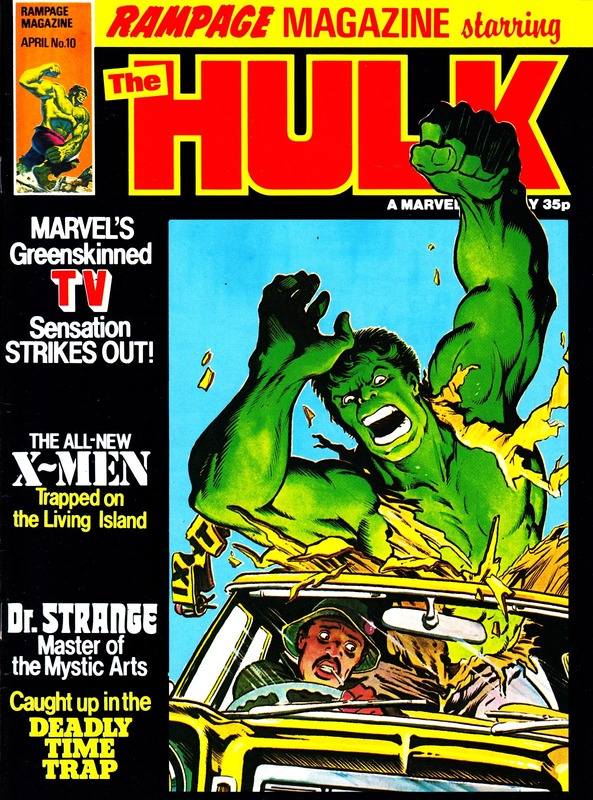 This avoided competing with Marvel's own product but also made finding copies of the US editions pretty difficult. 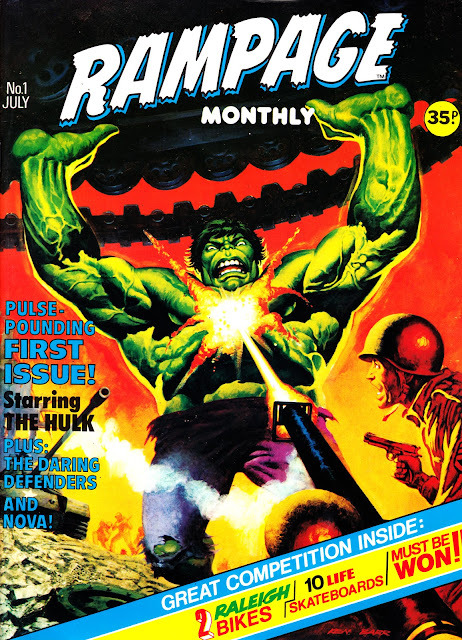 Rampage also added text features based on the TV show, a logical move akin to similar articles that had appeared in PLANET OF THE APES and STAR WARS WEEKLY. Rampage Magazine (note the subtle name-change from issue 6) ultimately ran for 54 issues, merging with MARVEL SUPERHEROES in 1983. 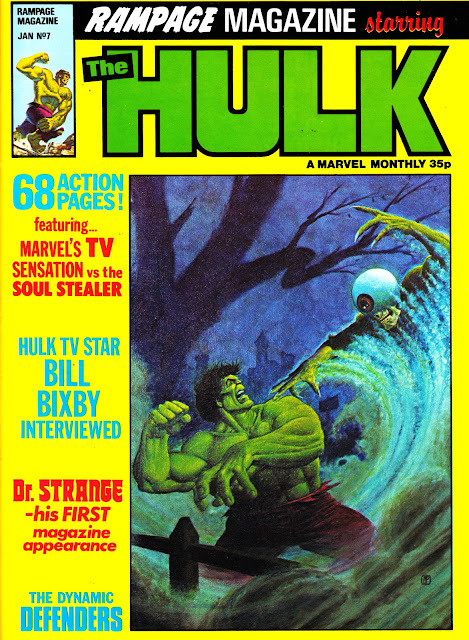 Along the way it absorbed the short-lived BLOCKBUSTER MONTHLY from issue 45 (transferring one survivor: Iron Fist) and published original strips in issues 40-44. Below are the covers for the first 12 issues. Several of them, originally created for The Rampaging Hulk, will be familiar from my THE INCREDIBLE HULK PRESENTS post from last year.